So here are my very own 17 Reasons because, well the number 17 has long been associated with Nino. He is forever 17 to many in the Arashi fandom. Also his birthday falls on the 17th, and today he is 34 which is 17 x 2! Apologies in advance if this post becomes supremely soppy, I'm still recovering from the Tsunagu MV previews. 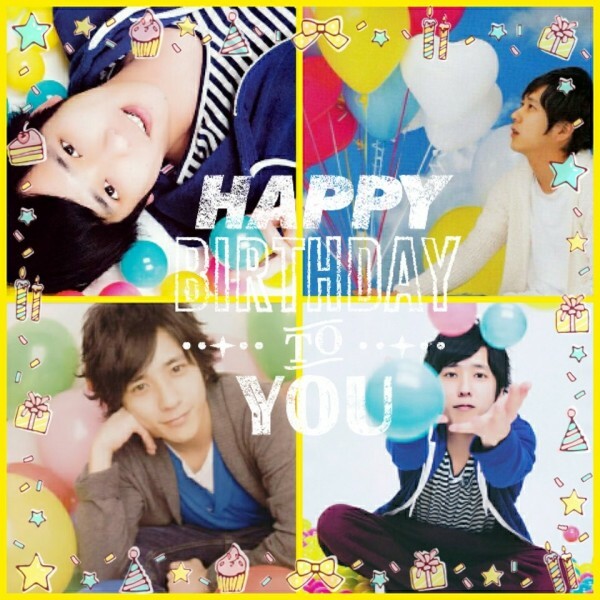 And my unabashed love for Nino! 💛 I love Nino's personality: he is funny, cheeky, and sometimes a little brash but he's downright honest and he adds the right amount of easy charm to make any tense situation comfortable. He might be an introvert but he's also capable of putting himself "out there" at the right moment and he can successfully gauge a person/situation to suit. 💛 I love Nino's musical ability. He may have broken his left hand a long time ago but he hasn't let that stop him from playing bass guitar, piano, drums and electric/acoustic guitar (I honestly do love a man who can play the guitar!). Also, when he's performing on concert stage or during a television appearance I really love how he responds to a certain beat or a guitar riff in the song by mimicking it with his mouth or with his hands. He really feels the music, which I just love. 💛 I love Nino's songwriting : he can be heartachingly sad at times but his honesty and raw emotion is breath-taking. Don't get me wrong, I really do love Niji but I love love love Kako/Konseki, Yume, Regress of Progress, 5x10 version of Kotoba yori taisetsuna mono, Sore wa yappari kimi deshita, and Doko ni Demo Aru Uta. Also his renditions of songs on Mago Mago Arashiand Baystorm are fabulous (particular faves are Kazamidori, Friendshipand KinKi Kids' Zenbu Dakishimete). 💛 I love Nino's singing voice : he can sound so intense, hungry, and passionate but he also has a playful side to his vocals which he can pull off with ease. Just listen to the difference between MUSICand Mata kyo to onaji ashita ga iru for an example. 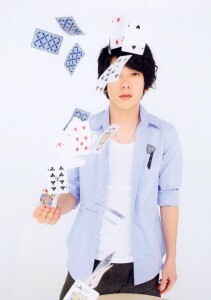 Or the way he performs Himitsu- playful yet still powerful. In concerts he always gives us his very best (just listen to him sing Doko ni Demo Aru Uta for the Beautiful World concert if you doubt me). I will give Gimmick Game an honorary mention but only because I adore the way he sings the line "kowareta jikan ni modoreru nara"~ his voice when he sings "nara"gives me thrills. 💛 I love Nino's acting : whether it's a stage play, a family drama or a Hollywood movie. I first discovered Ninomiya through his acting in Letters from Iwo Jima and later, GANTZ. I've banged on a lot about this here already but I just cannot fault Nino's natural talent for acting. Without even trying he can convey such an array of emotions from sadness, anger, grief, and hatred to affection, loyalty, and love. You can be easily carried away to the point where you actually believe he is a chef, a troubled teen, a soldier, a student, a teacher, or an alien killer! I can't express with enough vocabulary the richness his acting has. He doesn't call himself an actor and I admire his modesty but seriously, he is an actor. 💛 I love Nino's eyes : he has the most amazing Asian brown/black eyes I have ever seen in my life. They draw me right in deep, mesmerize me at every turn, and they are evocative in that he can be cheeky and brash and then fun-loving in just one blink. 💛 I love the fact that Nino is left-handed : he writes with his right hand and plays instruments right-handed but at heart he is a leftie and I am as well, so in that way I feel a connection with him! 💛 I love Nino's smile : his smile melts my heart. Whenever I see him smile, I smile too. There are no more words to say on that. 💛 I love Nino's laugh : from a suppressed snigger, a tiny giggle to a raucous howl, he can do it all. I especially love the shy laugh where he hides his face inside the crook of his arm or when he chuckles warmly with the other members, and then there's the head-thrown-right-back roar that he does when he's particularly tickled by something somebody else says. 💛 I love Nino's relationship with the other members of Arashi : he wears his heart on his sleeve for them and I admire that. He cares about them, he loves them and they love him back. He can easily relate to each one and responds knowingly, picking up on their moodsand tension. He adores Aiba immensely even when he's bullying him, he's a lovable rogue when it comes to Ohno especially when he's bullying him (haha), and his respect and adoration for them all knows no bounds. 💛 I love Nino's work ethic : whether he is in a kouhai or a senpai role, he steps up to the plateand never over-steps the mark. Despite not always being in the best of health over the years, he works tremendously hard. He admits to being a shut-in gamer when he's not working, but he continuously puts in 101% to whatever is expected of him. His long-term efforts are both admirable and commendable. He is definitely somebody to look up to. 💛 I love Nino's way with words : he can be poetic and passionate, playfuland silly, downright cheeky and crazyand sometimes on Baystorm he can sprout a pile of b***s*** and we all know he's exaggerating for effect. However, he has said some poignant things too. Something which particularly struck me was when he observed that women who change themselves physically (losing weight, changing fashion) after getting into a relationship defeats the whole reason why he fell for them in the first place. That seriously woke me up I can tell youuu! 💛 I love the way Nino deals with money : despite the fact that he must be sitting on a pretty fortune, he is frugal (almost to a fault where some would argue that he is stingy). What I totally admire is that he doesn't ever flash it around, he's certainly not arrogant with it, and he's not a flashy person altogether. He wears clothes he's had for years, he lives modestly (apart from having eight pianos and a ballroom in his house haha) and he's not your stereotypical snotty-nosed rich kid. 💛 The way Nino suddenly screams out things : like YAMETE! or YADA! or just generally shouts hilarious insults at people. 💛 Nino loves his mum : he's not only written a song just for her but he put so much love and thoughtfulness into the lyrics, it tears me upand makes me swell with pride. He even went so far as to code the song title.